Tandem breakers, often called split, twin, or double breakers, provide two separate circuits in the space of a regular-sized breaker slot. Every circuit breaker panel (a.k.a. your home's breaker box) has a limited number of circuit breaker slots available. The problem is that when the openings are all used up and you still need to add another circuit, what do you do? You could upgrade the electrical panel or add a sub-panel, and this makes sense if you need to add a lot of circuits. If you need to add just one or two new circuits, sometimes it's possible to use tandem breakers, but your panel must be designed for them. A tandem breaker is the same size as any other standard, or single-pole, breaker but it has a key difference. This breaker sports two smaller breakers built into one regular-sized breaker body. Each has its own toggle switch, and the breaker snaps into the panel just like a regular breaker. A tandem breaker supplies two separate 120-volt circuits. This is not the same as a double-pole breaker, which serves a single 240-volt circuit that is used for high-voltage appliances like dryers and ranges. Tandem breakers are safe and legal to use only when the panel is designed for them and only in the slots that accept tandem breakers. Look at the manufacturer's labeling on the inside face of the panel door. If the panel accepts tandem breakers, the label should indicate how many you can use and in which slots you can use them. Some panels allow tandems on just two or four slots; others may allow them on all of the standard slots. But no matter how many tandems are allowed, you still must stay under the safe load limit on the panel. In other words, just because there is space for more breakers doesn't mean the panel can safely handle the extra load of new breakers. Checking the safe capacity of your panel is a job for an electrician. Being a smaller version of a typical circuit breaker has its drawbacks. At half the size, these smaller breakers seem to heat up relatively quickly when under load and in some cases may trip more easily than a standard circuit breaker. Another potential drawback is that the balance of phases on the panel is often thrown off by added tandem breakers. 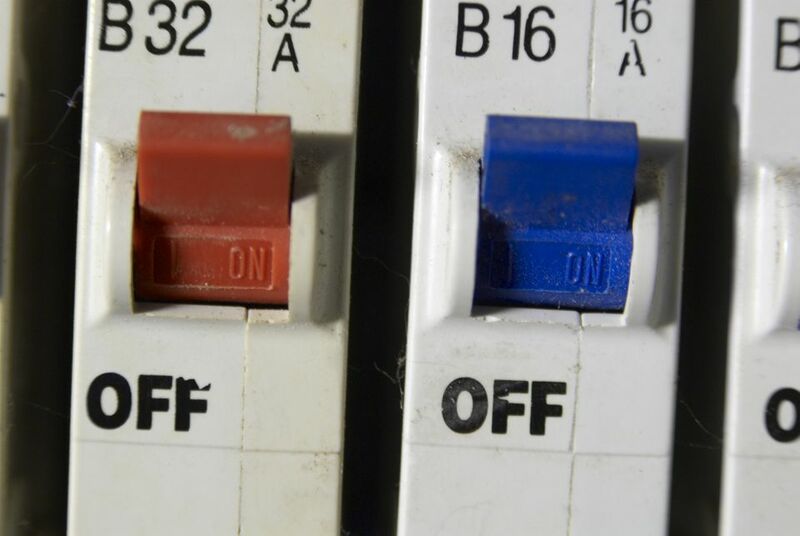 With standard breakers, every other breaker is on a different phase of panel power. That's why the breakers are arranged in two equal rows and why the slot numbers alternate from side to side (evens down one side, odds down the other). This helps create a balanced load on the panel. Each tandem breaker makes two connections on only one side of the panel, so if you don't distribute them properly, it's easy to have too many tandems on one side, causing a load imbalance. For simply adding a new circuit in your home with its own neutral, a tandem circuit breaker can do the trick. But if you need to add several circuits and/or your panel is already close to its safe load capacity, the better option is to add a sub-panel or upgrade to a larger main service panel with more capacity. This may seem extreme, but panels with a lot of tandem breakers can be a big red flag. Not only is this likely overloading the panel, there's also a good chance that the amount of wiring inside the panel is exceeding safe "fill" capacity. Upgrading to a larger panel or adding a sub-panel is a safer solution that gives you more flexibility for future expansion of your electrical system.